Air conditioning must be one of the best things ever invented when living in a tropical climate like Sydney. Not only do air conditioning installations cool you down, it contributes to a more efficient work environment as well. The system itself is very simple. It’s nothing more than two coils, pipes, and refrigerant. As the cooling cycle begins, the refrigerant starts to circulate where it heads to the outside unit, releases heat, and cools down. Then takes a U-turn back to the inside unit and is released as the cool air that we love in the heat of summer. What people are really concerned about is how they can keep the running costs down. So, how can you keep things economical? If we’re not careful, the un-necessary running of an air conditioning unit can leave us hemorrhaging dollars from the wallet. So, what can we do to maximize energy savings and is easily answered by selecting the most efficient temperature. Some people like to set the temperature at 16 degrees Celsius as soon as they get inside. From an energy efficiency perspective, this is not the smartest thing to do as you are asking your air conditioner unit to do a lot immediately, especially if the temperature outside is really hot. Sometimes setting it to a very low temperature will overwork the unit because it just might not be able to reach that temperature that you have set it to without excessive energy being used. So, what can you do? Some say that 23 degrees Celsius is the perfect temperature setting for a happy living environment and a happy, not overworked machine. This is a temperature that your air conditioner will be able to maintain without having to chew through expensive power units. Every degree that you change can mean huge energy savings in the long run. To save your pocket, you need to find a nice balance between comfort and the efficient running of the air conditioning unit. There are some other practical things that can help you save on power. In the summer, make sure to use curtains, blinds, shutters cover your windows and provide shade to the inside of your home. Surveys show that this will reduce heat absorption to about 80%. Make sure to keep up the maintenance on your air conditioning unit. Depending on the model you purchase, there will probably be filters that are washable, that if left dirty or clogged can cause a strain on your AC system and ultimately will cost you more to run. Sometimes people will maintain the indoor unit but completely neglect the outdoor unit. Remember that both units are equally important. On a regular basis, check to make sure that your outdoor air conditioning unit is free of debris that has started to pile up around it or on it like cobwebs, wind-blown leaves etc. Debris will restrict the air flow making the machine work harder and again, making it use more power than needed. 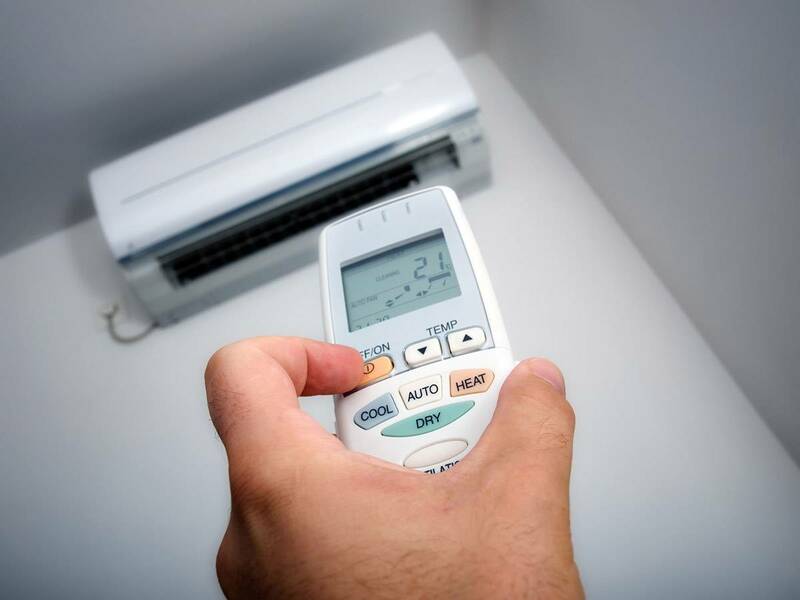 Regardless of it being the setting of your unit to the ideal temperature or keeping up with the maintenance of the units, there are a lot of things that you can do to help run the system at maximum efficiently and save you money. However, no matter how much you maintain it, a regular service of it by us to give the full system a thorough clean is recommended. It’s not advisable to do it yourself. There are electronic parts that if get wet could cause great cost to fix. Once cleaned though, you will immediately notice a change in air quality and savings in your power bill.